Home > Recent > Why Do McDonald’s Chips in the UK Differ from Those in America? Why Do McDonald’s Chips in the UK Differ from Those in America? 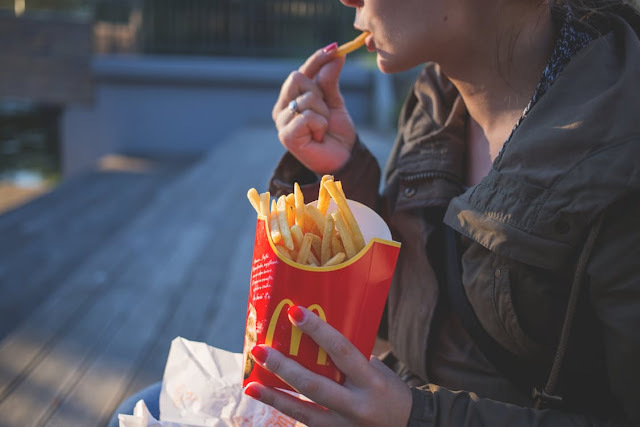 According to a McDonald’s spokesperson, chips sold by UK branches of the fast food chain contain only four ingredients: ‘potatoes, vegetable oil (a blend of sunflower and rapeseed) and dextrose (predominantly added at the beginning of the potato season) with nothing added except a sprinkling of salt after cooking. Customers can request that their Fries are served without salt.’ However, the story in America is somewhat different. Last year, it emerged that chips over the pond contain 14 separate chemicals – fourteen – in chips! So, why are things so different here? (Or, should we ask, why are McDonald’s chips mildly less lethal in the UK?) In short, the answer’s open to speculation: but it’s unlikely to be down to regulations. Until Britain leaves the European Union, it will remain subject to EU rules on pretty much everything, from human rights to food safety. Meanwhile, many of the additives which go into McDonald’s fries in America are currently on the list of EU-approved additives, also known as E-numbers; meaning they can, legally-speaking, be used in foods sold in the UK. There are, of course, recommended daily allowances for each – but when’s that ever stopped you visiting McDonald’s? So, the question remains: if these chemicals (and other additives) could be used in the UK if McDonald’s wanted them to be, why aren’t they? In general, if it’s not regulations stopping big corporations doing things, the next most feasible explanation is consumer demand. That’s to say, although nobody can really get an answer out of McDonald’s regarding why their UK branch produces chips with less ingredients, we can speculate that it might have something to do with the fact that consumers in the UK are more likely to stop eating chips at McDonald’s if they were to contain certain additives. Maybe it’s even as simple as the names of the additives being easier to spot on the ingredients list. For example, “Tertiary-butyl hydroquinone” is also called E391 in Britain (or, in less Brussels-esque terms, TBHQ); and the gibberish-looking word “dimethylpolysiloxane” is also known as E900. You’d have to be a scientist to know whether either of those are red-flags for your health; but anybody who grew up in Britain after 1962 could read the E-number on the ingredients table and immediately be inclined to think it’s unhealthy. Whatever the reason behind the divergence, it seems McDonald’s UK is somewhat better in terms of promoting our health than its American forbear. Still, let’s not get too carried away with praising these 510-calories-per-portion sides – that’s a quarter of your RDA, after all.